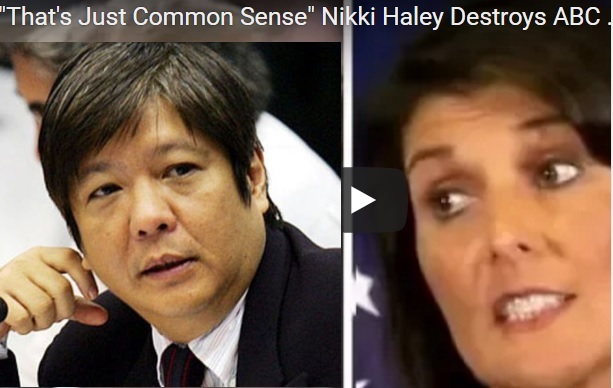 If Nikki Haley did not say this through the media; “Give Duterte space to run the Philippines,” Bongbong Marcos already said that in another way; Let the Philippine President do what he thinks is right for the country. After all, they both have one message. Allow the president to lead and rule the nation according to his discretion. The uproar and fierce controversy resulting from an opinion in one publication about the US Ambassador to the UN’s alleged statement prompts the author to explain his side. It is something that is true based on factual research. However, there was no confirmation that Haley said it word to word. Since it is out, he cannot erase it. He said; I look at the controversy over Nikki Haley in the same spirit. Now that the idea is out of the bag (that Du30 should be given space), it’s going to be hard to erase it from the minds of his supporters. Most liberal media put a label on it as Fake News. However, analytical media practitioners believe that such disclosure is a common opinion among the true democratic figures. Bongbong Marcos said this in a different way when he was asked about his opinion on the President’s decision to declare Martial Law in Mindanao. Former Senator Juan Ponce Enrile is also noted for some lines with the same context as Marcos. He stresses that it is the job of the President to decide on the best thing to do in every situation for the good of his people. That’s the job of the President, the wise man said. Popular public opinion can easily be measured through social media. No matter how biased media do their one-sided campaign, social media can always dispute it at once. Most journalists who have no diverse knowledge on how online publications work can only blame the trolls and call unfavorable articles as Fake. The rule is simple. A verifiable news is not a fake nor a work of trolls. Various local media are quick to denounce that US Ambassador to the UN’s alleged statement was FAKE that becomes a propaganda. They cited the quotes she made as per speech transcript and the Ambassador to Philippine ‘s denial that Haley did not favor President Du30. However, there was no mention that Haley herself denied it which is contrary to her stand in various media interviews. She always corrects the media spot on. In one of her interviews, she stresses the use of “common sense” while clarifying the US President’s actions on North Korea’s threats. On the local front, Bongbong Marcos directly denies the Marcos inheritance distribution publicity. Most media still give full coverage without the identity of the mastermind. If this is not a Fake, Haley’s case is also not. It’s just a matter of opinion. The mainstream media’s failure to report the two sides of a story made budding journalists both online and offline to fill the gap when it comes to news dissemination. In the digital age, it is handy for social media practitioners to gauge a popular public opinion. The motivation is the support of their avid readers or subscribers. No writer is inspired to write news that nobody reads, so to speak. Google is very strict in penalizing Fake news. However, in today’s world, it’s a number’s game. In a democracy, the majority always wins. So, if a news becomes viral, that means, that resembles the people’s sentiments. The Media who are critical of such news must look at their own actions. In most cases, they tend to create scenarios that are not true just to support their interests – just like in the Bongbong Marcos articles. A pro-administration media is castigated for publishing an opinion on Haley’s so-called quote or misquote that favors the President regardless of its source. The website that bears almost the same name can dispute that based on the laws of their land. The fact is, the source of the quote really exists. It is also not a crime to make an opinion based on a topic regardless of where it comes from. Haley’s intelligent comments to the media just show that the US and the Philippines have the same problem of liberal journalism. The leaders of both countries are also the unorthodox type. An effective speaker like Haley can really counter-act the ill-intentions of some journalists that may intend to mock the leadership by stressing on his unique expressions rather than the real score of his actions. The Philippines is yet to find the Filipino Haley. 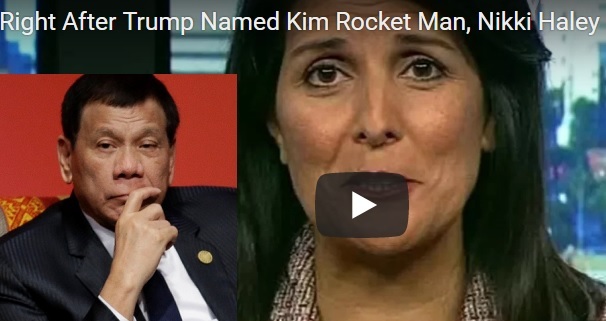 Haley elaborated: “Destructive forces have never given the Duterte administration enough space to jump-start his programs of government; they did not even afford him the proverbial honeymoon period. Now, they have calibrated their plot to ouster movements and this is just the second year of his presidency.” She called on human rights groups (the UN’s included) to be impartial and not take political sides while dispensing their duties in any particular nation. She asked HR groups in the Philippines to engage in consultations with the Du30 government and shun political stances which may lead to a loss of relevance and credibility for the country. The biggest boost for the Philippines in the unveiling of Trump’s new foreign policy doctrine will likely lie in its unblushing endorsement and defense of the sovereignty of nations. He espouses not only America’s return to greatness; he recognizes the sovereignty of rival powers like Russia, China, and virtually all nations. And that, of course, includes the Philippines. America under Trump is turning away from the architecture of liberal internationalism that has been dominant in international relations for so many decades, since the collapse of the Soviet Union. President Du30 was right in steering Philippine foreign policy towards closer relations with China, Russia, the ASEAN, while taking care to forge strong relations with the US. These developments invest added significance to the coming ASEAN leaders’ summit in November, which the country will host and where the US, China, and Russia, and other major nations will be in attendance. The Philippines is destined to become a bigger player in international affairs, commensurate with its size and impressive growth. 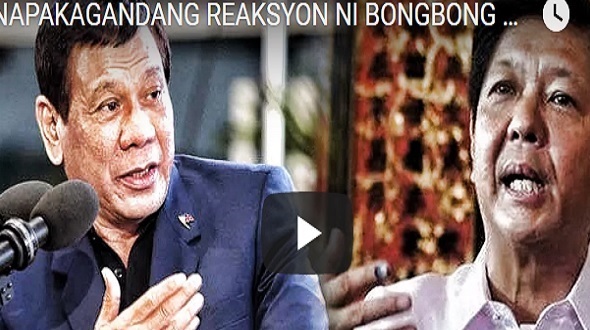 The hope of the opposition that human rights violations or extra-judicial killings (EJKs) will be the way to bring down the Du30 presidency may have received a mortal blow. The enthusiasm of US media for grisly stories about the drug war will fade out. There is now zero chance that the US will interrupt with the regime change in the Philippines. Tindig coalition’s effort is just a waste. Are Du30 and Marcos Haters Misinformed by Media or Otherwise? There are Filipinos who are uninformed and misinformed by media. Seldom are those who hear the certain news and verify the facts by researching to seek for the truth. This is why people in the Philippines now live in a period of inauthenticity and contradictions. The Vice President prides herself in her advocacy in the world of the marginalized. But in her first radio show, she was surprised that malnutrition is prevalent among the poor. She said that her experience of coming face to face with the poor and malnourished is unique. This shows how detached she is with reality. Therefore, Leni Robredo portrays herself as inauthentic. On the other hand, the impeachment complaint filed by Magdalo party-list Rep. Gary Alejano against the President was quickly dismissed by the House committee on justice because it is insufficient in substance. It failed when Alejano shows that he had no personal knowledge of the acts which he accuses the President of. His sources are news reports, particularly by Rappler and ABS-CBN. Gone are the days that investigative journalism is reliable. Journalists are considered as bearers of truth and facts in the past. Now, Rappler and its cohorts have, give the main stream medium a bad name. They are sources of black media propaganda at the present time. The internet is blamed as the cause of the decline in the power of traditional mass media. But on the contrary, mass media can be popularized by it if they remain authentic to its ethic of fairness and neutrality. People have no choice but to migrate to social media as their sources of information. It is easy to lose credibility in this avenue. Once a medium does not carry the true sentiments of the people, it can face serious attacks online. This is why after decades of suffering from black propaganda, the Marcos family rises above their enemies. PDu30 also is untouchable because of this.